For most people unlucky enough to have their car stolen, that’s the last they ever see of it. Sure, it might turn up in a field as a burnt-out shell, wrecked by joyriders out for a good time, but in most cases, once it’s gone it’s gone. And that’s precisely what Bob Russell thought when his classic sports car, a UK-made 1967 Austin Healey 3000, was taken from outside his apartment complex in Philadelphia. Determined to be reunited with his beloved automobile, Bob, 66, spent hours online, trawling through numerous car dealership websites. Incredibly, his perseverance paid off, as Bob recently located his cherished car in an online auction on eBay. But what makes the story even more remarkable is that his car was stolen way back in 1970. 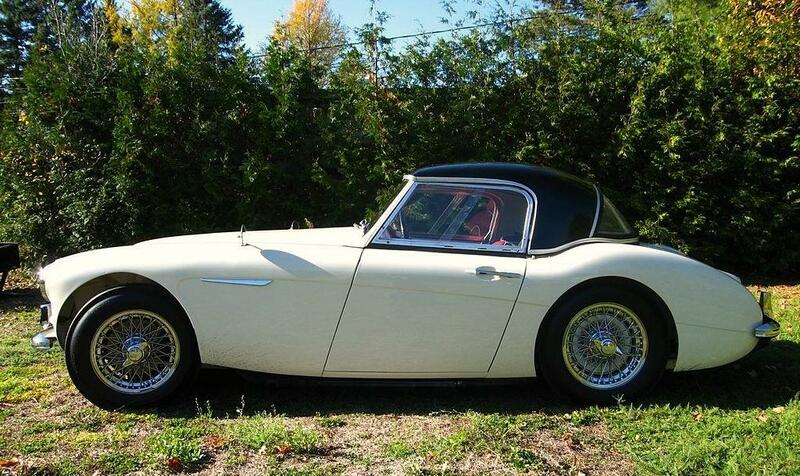 According to a Dallas Morning News report, Bob paid out $3,000 for the Austin Healey in 1968, a princely sum back then. The young Bob had been having fun taking out his then girlfriend (later wife) in his snazzy new motor, but after just two dates, the car was taken. With the advent of the World Wide Web, Bob, who now lives in Dallas, began his mammoth online search. “Ever since eBay showed up, I’d check it periodically,” Bob told the Dallas Morning News. His determination to locate his lost love paid off when one morning in May he came across it being sold on eBay by the Beverly Hills Car Club dealership. As you might expect, Bob wasted no time in calling the seller, choosing his words carefully. “I hate to sound indelicate, but you’re selling a stolen car,” he told the dealer. According to Bob, when he contacted the seller the highest bid on the car stood at $19,700. However, this was below the reserve price and in the end it didn’t sell. Bob still had the car’s keys and title, and could also tell the dealer the vehicle identification number of his Healey. Despite this, the dealer was unsure of the veracity of Bob’s story and so offered to sell it back to him for $24,000. After some to-ing and fro-ing between Bob, the dealer and law enforcement agencies, the car was eventually impounded, leaving Bob to pay $600 to have it released, and a further $800 to get it transported back to his Dallas home. It’s not clear what security precautions Bob has taken to prevent a repeat of the Philadelphia crime, but presumably it’s now one of the best protected cars in the country.